For an artist who considers herself a painter above anything else, Joni Mitchell has had an extraordinary impact on modern music. Often associated with folk and rock styles, the SFJAZZ Gala 2015 honoree has had a longtime love for and affiliation with jazz, using it as a primary inspiration for her music during the mid-1970s and early 1980s and carrying that influence into all her work that followed. Mitchell's integration of jazz elements and use of jazz musicians began with her celebrated 1974 release Court & Spark, a GRAMMY-winning artistic and commercial triumph that was a noticeable departure from her earlier efforts, ranking at #113 in Rolling Stone’s list of 500 Greatest Albums of All Time. The session is marked by a loosened sense of structure, a cover of the Lambert, Hendricks, and Ross crossover jazz hit “Twisted” (itself a re-imagined vocal version of saxophonist Wardell Gray’s jazz instrumental), and appearances by members of the jazz/fusion bands The Crusaders and the L.A. Express. Jazz was an equally profound part of the GRAMMY-nominated 1975 album The Hissing of Summer Lawns, which contains a fresh version of trumpeter Harry “Sweets” Edison’s jazz standard “Centerpiece” and an appearance by saxophonist Bud Shank. 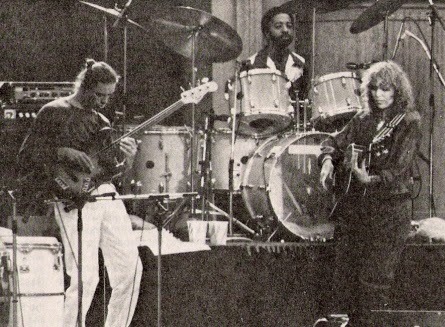 During this fertile period of experimentation, Mitchell struck up a friendship with electric bass virtuoso Jaco Pastorius, a hugely influential musician who had recently become a member of fusion superband Weather Report. The bassist’s presence is keenly felt on a pair of tracks on the acclaimed Summer Lawns follow-up, Hejira, with his unmistakable fretless tone providing a soaring melodic contrast to Mitchell’s exploratory vocals. Pastorius was a fully integrated collaborator on Mitchell’s experimental double album, Don Juan’s Reckless Daughter, which reveled in spacious, improvised structures and boasted a cast of musicians including Pastorius’ Weather Report bandmates Wayne Shorter, Alex Acuña, Don Alias, and Manolo Badrena. In the mid-70s, Mitchell came to the attention of legendary bassist and composer Charles Mingus, who expressed a desire to collaborate on a new project that would set Mitchell’s voice to his inimitable compositions. 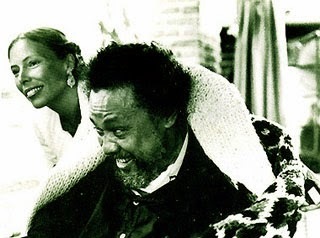 The resulting album, Mingus, is a rich and evocative musical portrait that turned out to be the jazz icon’s final recording – Mingus lost his battle with ALS (Lou Gehrig’s Disease) prior to the release of the album in 1979. Initially conceived to be an orchestral setting of T.S. Eliot’s meditational work Four Quartets, Mingus is Mitchell’s most pure jazz release, expanding Mingus’ basic melodies with an ensemble consisting of Wayne Shorter and other members of Weather Report along with pianist Herbie Hancock. Mitchell toured the world behind the Mingus release with a spectacular jazz group that included Pastorius, guitarist Pat Metheny and saxophonist Michael Brecker – a band captured on the live 1980 release Shadows and Light. Though Mitchell’s jazz influences would eventually be tempered by new approaches over the ensuing years, she has maintained a connection to jazz, continuing to work with a diverse range of jazz artists including saxophonist Wayne Shorter and trumpeters Kenny Wheeler, Wallace Roney and Chris Botti. In 2000, she issued Both Sides Now, an album of standards. Drummer Brian Blade, a longtime member of Wayne Shorter’s remarkable quartet and an acclaimed bandleader in his own right, has worked regularly with Joni Mitchell, appearing on her Taming the Tiger (1998), Travelogue (2002) and Shine (2007) recordings and tours. He will perform with his sublime Fellowship band at the 2015 SFJAZZ Gala honoring Mitchell. Just as she found inspiration in the freedom and spontaneity of jazz, the quality of Joni Mitchell’s timeless compositions has had an enduring impact on jazz vocalists and instrumentalists, who have treated her songs as modern standards themselves. This impact had its ultimate expression in Herbie Hancock’s 2007 session River: The Joni Letters, which gave Mitchell’s music a fresh treatment with guest vocalists Norah Jones, Corinne Bailey Ray, Tina Turner, Leonard Cohen, and even Mitchell herself. The album earned much-deserved GRAMMY awards for Album of the Year and Best Contemporary Jazz Album. SFJAZZ will hold its annual Gala on May 8, 2015, honoring Joni Mitchell with the SFJAZZ Lifetime Achievement Award for her artistic vision and contributions to modern music. The program will feature drummer and Joni Mitchell collaborator Brian Blade, the award-winning SFJAZZ Collective, and special guests in a tribute to the rich musical legacy of Ms. Mitchell. SFJAZZ Trustee Nion McEvoy and longtime SFJAZZ supporter Penny Coulter will co-chair the event. All proceeds from the SFJAZZ Gala 2015 will support SFJAZZ’s artistic and education programs. 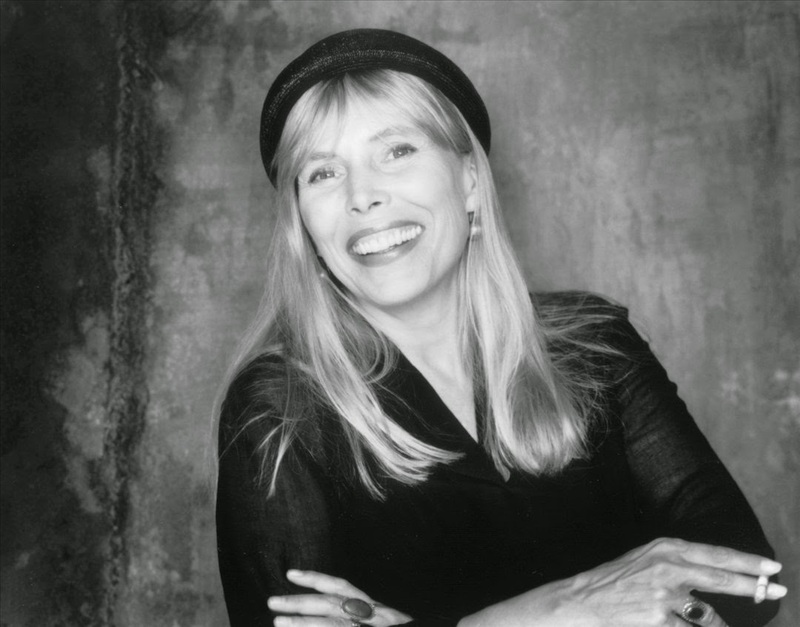 For information about the SFJAZZ Gala 2015 honoring Joni Mitchell, please visit http://www.sfjazz.org/jonimitchell. "You will want to be there!" Yes, I would like to. However, at the prices you've set for attending this event, I'm afraid that no one except the very rich (dare I say, the 1%?) will be there to toast Joni and her musical brilliance. Why not do a private event at those prices, and then a concert with some, if not all of the performers the following night? I understand the purpose here is to raise money for SFJAZZ, and that's fine, but special events that regular jazz fans like myself, and others, have no hope of attending feel like a slap in the face to those of us who can't possibly afford the price of entry.